and last for 10 minutes. 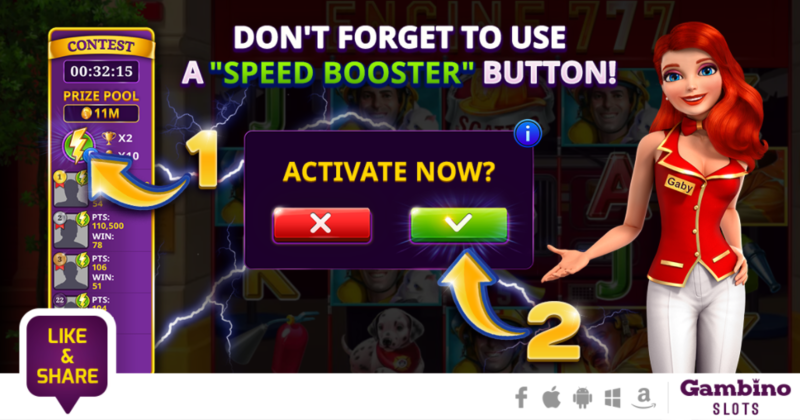 To activate a booster you can click on the lightning symbol on the board of participants. Each day players receive one free booster, in case they don't have any in the account. The free booster is granted at 12:00 AM (midnight) of your local time zone. Please note, that you can win a contest booster from the Daily Mega Wheel and also purchase them for a small fee.